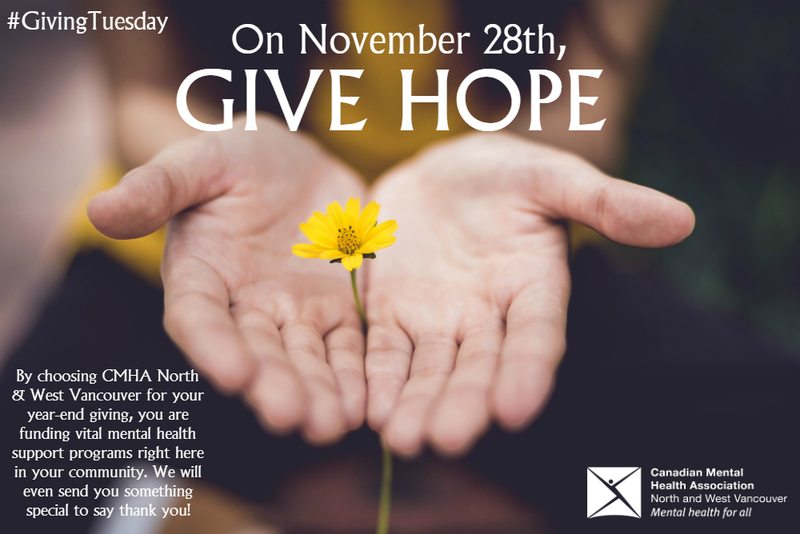 November 28, 2017 is Giving Tuesday, the day after Black Friday and Cyber Monday. On this day, charitable giving is promoted and encouraged globally. We have developed a campaign to celebrate this exciting event. 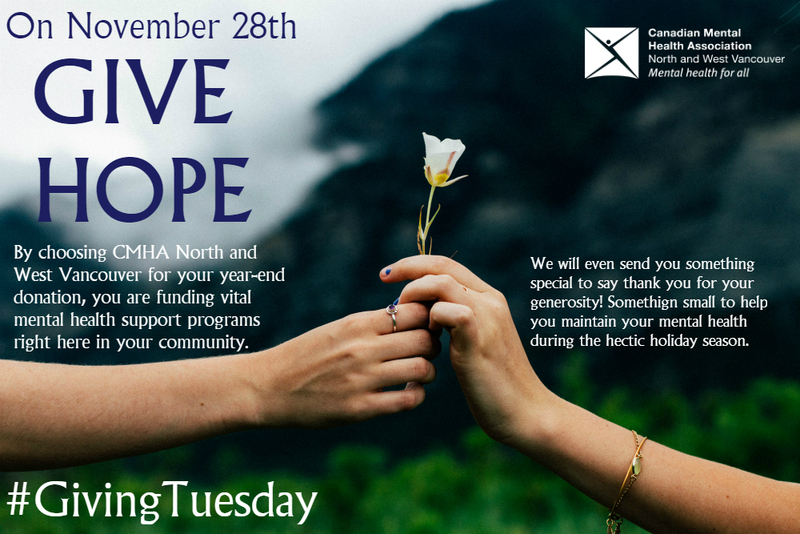 In the last few months, we have had the opportunity to reflect on our programs and services and how they address the mental health needs of our community. We’ve learned that youth aged 19-29 who have a mental health or addictions problem are often thrust into an adult system of care that they are not ready for. In addition to the lack of support, this age group is particularly at risk of mental illness. The Centre for Mental Health and Addictions in Toronto reports that 70% of mental health problems have their onset during childhood or adolescence, and that young people aged 15 to 24 are more likely to experience mental illness and/or substance use disorders than any other age group. Your donations will help us build a robust system of support for this population that includes counseling and support groups, including a new STEPS program. The existing STEPS program has proven to be effective in youth 13-18, with 100% of participants reporting a decrease in depression and anxiety symptoms. By developing a program specifically tailored to older youth, we hope to see the same effect in this often-underserved population. Our goal is to complement the services already available at the North Shore’s new Foundry. If you donate between November 14 and 28, we will send you a special token of our appreciation.